Following the success of last year's tearjerker The Fault in Our Stars, another John Green novel adaptation is set to hit the big screen on Friday: Paper Towns, starring Nat Wolff and Cara Delevingne, is finally going to hit theaters, and if you're not already excited for it, trust me: You should be. Not only has the film been garnering generally positive reviews, it's slated to launch Delevingne into movie superstardom — not to mention, based on set photos, the Paper Towns cast looks pretty awesome to hang out with.As Instagram posts from Delevingne, Wolff, and other cast members — plus Green himself — prove, this movie set was probably one of the most fun ever. After perusing them myself, I felt the insatiable urge to go hang out with these guys because they just seem so cool — but, of course, that would be super weird since they don't know me and I don't know them, so I guess I'll just have to settle on looking at their posts all over again and sighing to myself because they're legitimately too cool. "I wanted pillows!" Wolff said, as Delevingne screamed, "But you got me instead!" Seems like an upgrade. 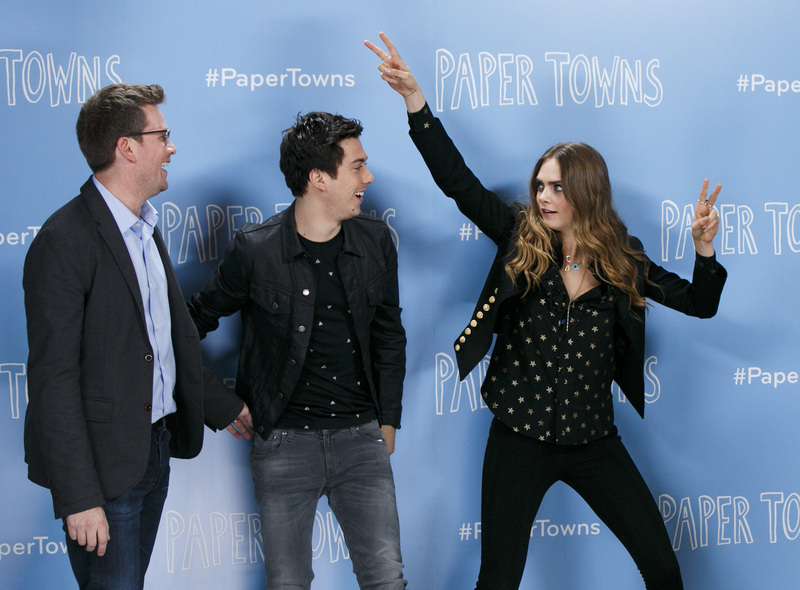 Technically, this one is from the Paper Towns press tour, but I couldn't resist sharing this one. Proof Wolff and his movie sidekicks are adorable, just chillin' and lookin' out at the horizon. The road trip movie took Delevingne and Wolff all the way up to the Poconos, and they're excited. A pleasant surprise for when you pick up your books between classes. Apparently, Wolff is one of the few who can sing The Beatles! "All my loving I will send to you!" If the movie is as fun as the behind-the-scenes 'grams suggest, it's gonna be a good time.